Home - 商越科技股份有限公司 - DATA SPECIALTIES CO., LTD.
DATA SPECIALTIES CO., LTD., also known as DSL, is established in 1991. Since its inception, DSL has been a niche proprietary memory and storage solution provider in IPC field. 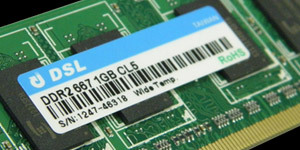 DSL manufactures and distributes a wide range of memory modules, such as buffered, unbuffered, ECC, registered, so-dimm/long dimm, and solid-state storages in large volume worldwide. 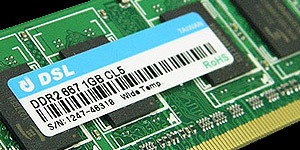 Wide temperature modules have DDR, DDR2, and DDR3 series in different form factor. To ensure stability under stringent working environments, only industrial grade memory chips, capacitors, and 30u gold contacts are used. All modules support working temperature from -40° C to 95° C. Densities from 512MB to 8GB are available. DDR4 modules, operated at 1.2V, are the new generation of modules that deliver greater reliability, speed, power, and higher densities for next generation server, storage, and networking applications. Designed in RDIMM, ECC-DIMM, UDIMM ECC-SODIMM, and SODIMM form factors, DSL’s DDR4 module solutions can be one of your most important competitive advantages. 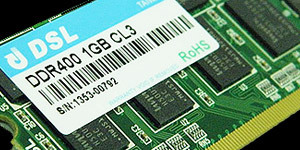 DDR3 modules support 1.35V low voltage. 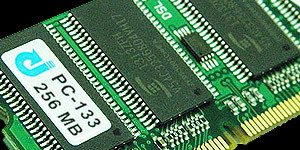 Modules in UDIMM, SODIMM, RDIMM, ECC-DIMM, SO-RDIMM, ECC-SODIM, and VLP DIMM form factors are available. 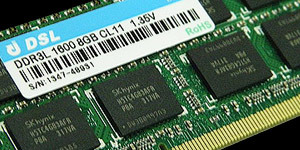 DDR3 offer high density, speed, and reliability for applications in servers, notebooks, workstations, mobile solutions, networking, Apple products and others. 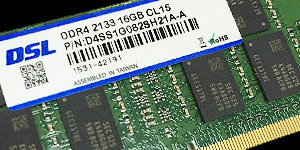 DDR2 modules support a range of configurations and features that are available in DIMM and SODIMM form factors, with ECC, non-ECC, unbuffered and registered options. Densities from 512 MB to 4 GB are available. DDR modules support a range of configurations and features that are available in DIMM and SODIMM form factors, with ECC, non-ECC, unbuffered and registered options. Densities from 128 MB to 2 GB are available. SDRAM series supports a range of options in DIMM and SODIMM form factors including ECC, non-ECC, unbuffered and registered modules. All modules are compatible with Intel-, AMD-, VIA-based systems. Module density ranges from 64 MB to 1GB. 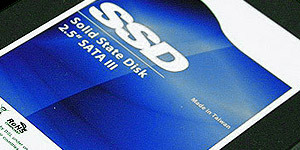 Flash memory solutions have SSD, SATA modules, CF Cards in SLC, MLC or TLC options with optimal trade-off of endurance, performance, capacity and operating temperature versus cost and longevity. Working temperatures from -40° C to 95° C and densities from 1GB to 1TB are supported.